We not really in the business of recommending books (though that might change) but we came across one recently and think it’s brilliant, so wanted to share it with you. 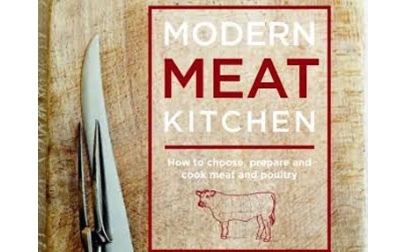 Modern Meat Kitchen (how to choose, prepare and cook meat and poultery) by Miranda Ballard, helps you understand all about meat from a purchaser/customer perspective. The author is clearly on a mission to spread the word about the importance of ‘quality’ in our modern times. The book is billed as “the ultimate guide to choosing, preparing and cooking meat at home” and we certainly agree with that. We’ve been banging on about the importance of quality meat for a while now, so it’s great to read a book from someone who feels the same way. 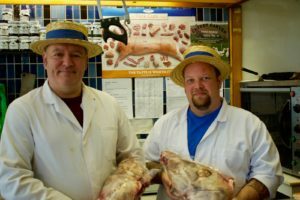 This book is good news for both local butchers and you, the customer. It might also make interesting reading for our vegan and vegetarian friends too. You’ll have to read the book thoiugh to understand why we say this. Something that caught our eye is the section called ‘Good meat versus cheap meat’. This talks about how to tell the difference and why we should care. There’s a very easy to follow comparison between the two. It’s a real eye opener! By the way, good does not necessarily mean expensive. Section 1 covers Modern Meat Principles, which introduces and explains all you need to know about beef, lamb (and mutton), pork, chicken and game. There are really useful sections on different cuts, where it comes from, what to look for and how to prepare and cook your meat. This is all explained very simply with lots of photos and illustrations. So you can read through it all quite quickly. Section 2 covers Recipes, which includes a wide range of favourites. These are grouped into weeknight suppers, entertaining, long and slow, and roasts. There’s also some very useful easy to make sauces and stocks. We think it’s a pretty important book and deserves to be read by anyone who cares about their meat, where it comes from and how to get the best out of it. And of course, we’re always happy to discuss our meat with you and help you choose a cut for that recipe you’re putting together!